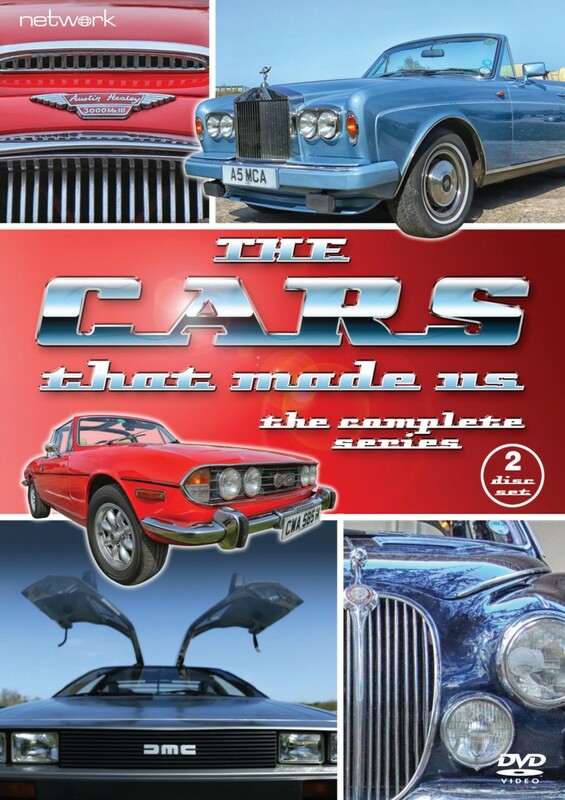 Exploring a diverse heritage spanning more than a century while celebrating the sheer joy of motoring, this tremendously popular series sees an array of celebrities sharing their memories of classic British cars and revealing their driving passions. Dom Joly, Quentin Wilson, Jodie Kidd, Jools Holland, John Prescott, Jon Culshaw, Phil Tufnell and Benjamin Zephaniah are among the many guests enthusing and swooning over a range of cars – from affordable bestsellers such as the Mini, the Hillman Imp and the Ford Cortina to unattainable objects of desire such as the Austin Healey 3000 and the Lotus Esprit. From the iconic Triumph Spitfire to timeless classics such as the E-Type Jaguar and the futuristic Aston Martin Lagonda, this series features some of the jewels in the crown of the British automobile industry... along with a handful of unlamented entries to the motoring Hall of Shame!